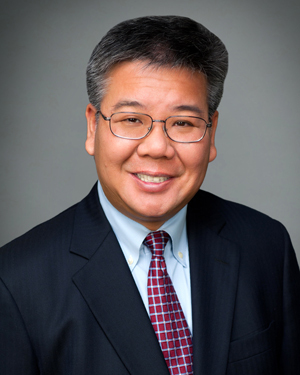 David Fong is a Senior Vice President at Quantum Capital Partners where he is focused on originating, structuring, and executing debt and equity placement. David has been active in the commercial real estate industry for over 20 years and is recognized as one of the nation’s leading attorneys in commercial real estate finance, development and acquisitions. David has worked as a partner or senior attorney in some of the largest and most prestigious law firms in the country including, Thelen LLP (500+ lawyers), Latham & Watkins (2000+ lawyers), SNR Denton LLP (700+ lawyers) and Cadwalader LLP (500+ lawyers). Throughout his career, David has regularly represented top real estate companies and institutions such as JPMorgan Asset Management, Credit Suisse, Deutsche Bank, Lazard Freres, General Electric Capital Corporation, Phillips Petroleum, Southern California Edison, Majestic Realty Co., Morgan Stanley, Citigroup, Lone Star Funds, Anschutz Entertainment Group, Playa Vista Company and numerous other prominent REITs, developers, banks and other investors in some of the industry’s largest and most complex transactions. David has helped his clients buy, finance and sell in excess of $7 billion in real estate including, office buildings, hotels and golf course resorts, casinos, ski resorts, residential and commercial condominiums, large apartment projects, shopping centers, regional malls, power centers, mixed-use projects, vacant land parcels, residential subdivisions, self-storage facilities, mobile home parks, industrial warehouses, marinas, sports arenas, power plants and cogeneration facilities. David received his undergraduate and law degree from New York University. He is admitted to practice law in the States of California, New York and New Jersey and is also a licensed California real estate broker.